How do you design gloves that allow the wearer to design and manipulate sound with gestures, on and off the stage? 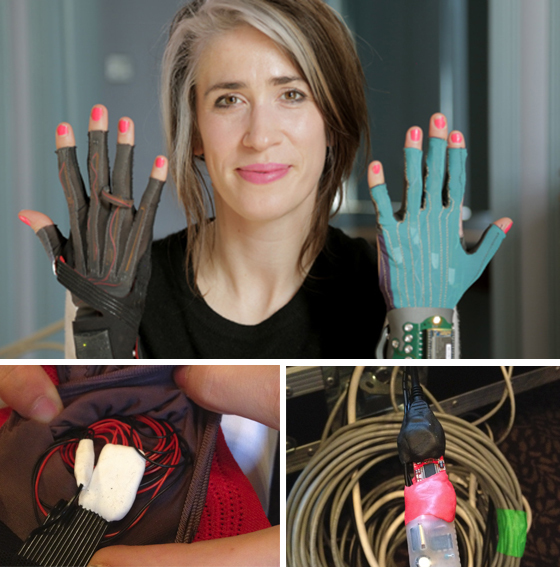 That is the question that Imogen Heap and the team at Mi.mu were faced with when designing and producing their musical gloves. The gloves allow the wearer to sculpt and manipulate sound with gestures, on and off the stage. Imogen Heap is one of the most inventive musicians around. She’s an award-winning songwriter and performer, and her albums have enjoyed commercial success in the UK and the US. She self-released her music before it became popular to do so. She’s also the only female artist to have won a Grammy for engineering. The team have used Sugru in their prototyping because of its versatile adhesion to enable secure connections and its electrically insulating properties. Want to see the musical gloves in action? Take a look!